Reusable culture - makes up to 1 quart of kefir with every batch. MKG require regular refreshing in dairy milk. 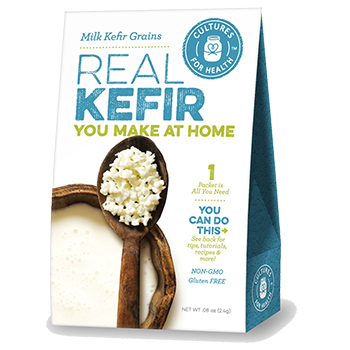 Organic powdered milk, organic milk, live active cultures. Packaged in a small amount of organic powdered milk to extend shelf life. 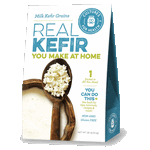 Our milk kefir grains are shipped in a dehydrated state in a barrier-sealed packet.